Your sign is the face of your business. At Kunath Signs, we look forward to sitting down with you to research and develop your sign ideas. We pride ourselves on unique ideas that demonstrate the quality of product or service that you offer to your client. Everything that we build is made from ‘scratch’– whether from racks of sheet aluminum, sticks of neon or laminates– we have the flexibility and industry knowledge to explore different products to find the material that meets your overall image and budget. We appreciate and understand the excitement and energy associated with starting your own business, changing locations or remodeling a space, and we take pride in being able to help with your signage. The craftsmen at Kunath Signs., work hard to stay on top of the ever-changing technology in this dynamic industry. Whether we work from existing art or have the opportunity to help you create something new, we would love to show you exactly what we can do for your company. It does not matter if the sign you require is a 25’ tall Main ID sign with a message center or a 2” high set of interior letters, we will work from conception to completion with a dedication to quality and with the knowledge that deadlines must be met. We approach each sign with a respect for our craft that comes from four generations of attention to detail. Large manufacturing facility provides us with the flexibility to utilize a vast range of applications. Our shop includes the following: CNC router, neon bending equipment, state-of-the-art paint booth, fully stocked vinyl department and sheet metal artisans. 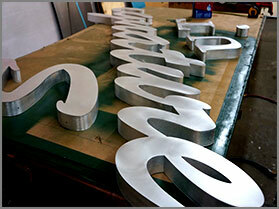 Whichever the material, the same insistence on quality is placed on every sign that we fabricate. It is our challenge and our proudest accomplishment to set ourselves apart from our competitors by manufacturing a sustainable product that will endure our climate and withstand the test of time. Kunath., provides comprehensive service and repair in the Tri-state Area. We are fully licensed & Insured. We work directly with landlords, municipalities, developers and architects to get your sign installed on time and on budget. We provide installation and maintenance of LED electronic message centers, illuminated and non-illuminated channel letters, monument signs, building signs and interior sign applications. With our knowledge of zoning and permit requirements we are able to facilitate the sometimes onerous permitting process. We are proud of the fact that our installation crew alone has directly provided Kunath Signs., with over 15 years of combined experience. Kunath. recognizes the importance of having your sign work properly. We offer maintenance agreements to keep your signs functioning as they were designed and looking good long after the day they are installed. And whether your sign has an issue relating to lighting maintenance, painting, cleaning or damage caused by weather, vandalism or accidents, we will find a prompt and professional solution. 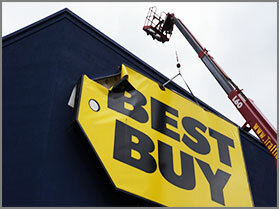 If your sign is not working properly call us today to have your sign repaired. Kunath Signs., offers turn-key sign services. 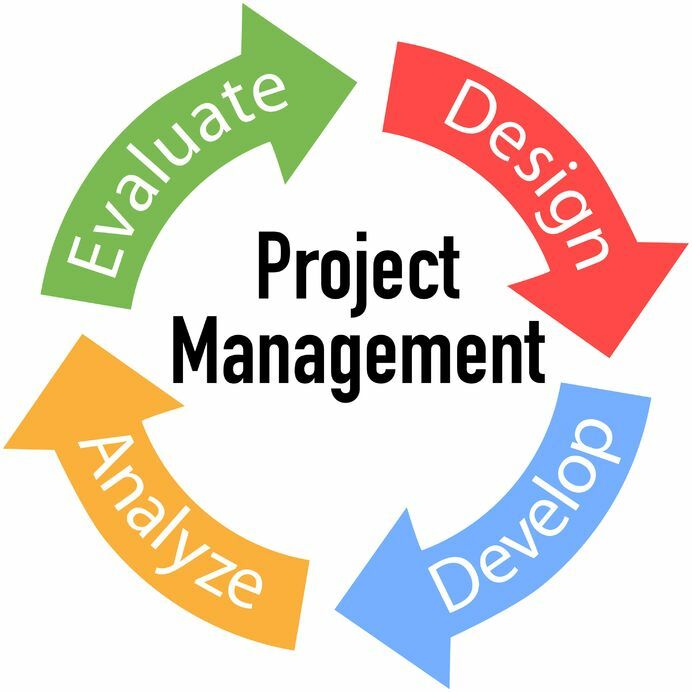 Our project management staff will oversee your project from start to finish and keep you updated along the way. 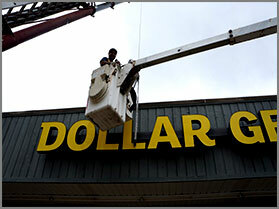 We understand the sign business and appreciate the impact signage has on your overall image. We make sure your project is completed to your standards and specifications in a timely and budget-conscious manner. Kunath Signs., works as a partner with you by keeping an open line of communication to protect your brand as if it were our own.